For over 20 years, Sharon Hayes has been committed to an in-depth exploration of the linguistic, social and political territories that enfold specific public speech acts. Her specific focus of interrogation has been on legacies of feminism, lesbian feminism and queerness. Foundational to her work over the last decade have been two critical understandings of the public sphere: that of philosopher Hannah Arendt and of critical theorist Michael Warner. In this talk, Hayes will present a recent project called, In My Little Corner of the World, Anyone Would Love You, in an attempt to understand the growing significance of publicity as a tactic of communal discourse. 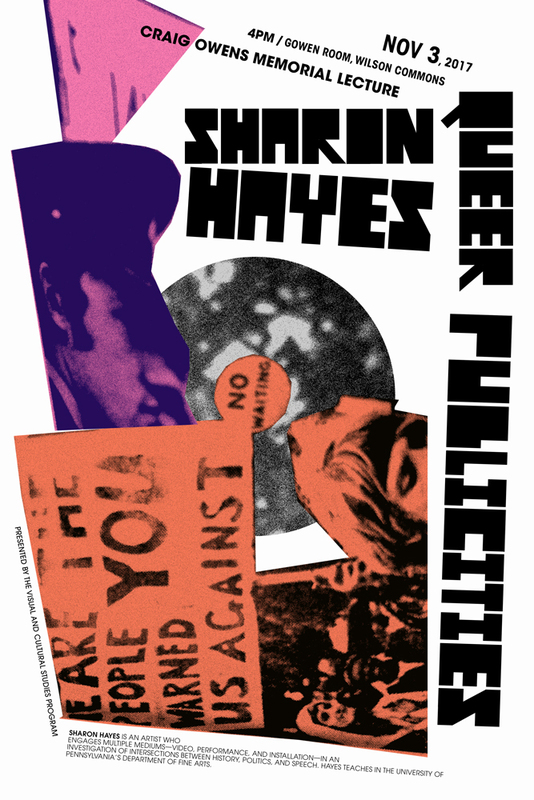 Sharon Hayes is an artist who engages multiple mediums–video, performance, and installation–in ongoing investigation into specific intersections between history, politics and speech. Hayes’ work is concerned with developing new representational strategies that examine and interrogate the present political moment as a moment that reaches simultaneously backward and forward; a present moment that is never wholly its own but rather one that is full of multiple past moments and the speculations of multiple futures. 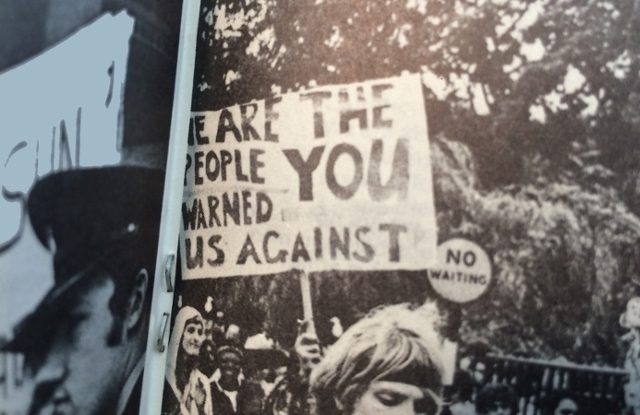 From this ground, Hayes often addresses political events or movements from the 1960s through the 1990s. Her focus on the particular sphere of the near-past is influenced by the potent imbrication of private and public urgencies that she experienced in her own foundational encounters with feminism and AIDS activism. Hayes teaches in the University of Pennsylvania’s Department of Fine Arts.